I was looking on E-bay the other day for some more base pads. Now that we can use them on our EIC pistols there is no reason not to. I was surprised to find that they now come in different colors. 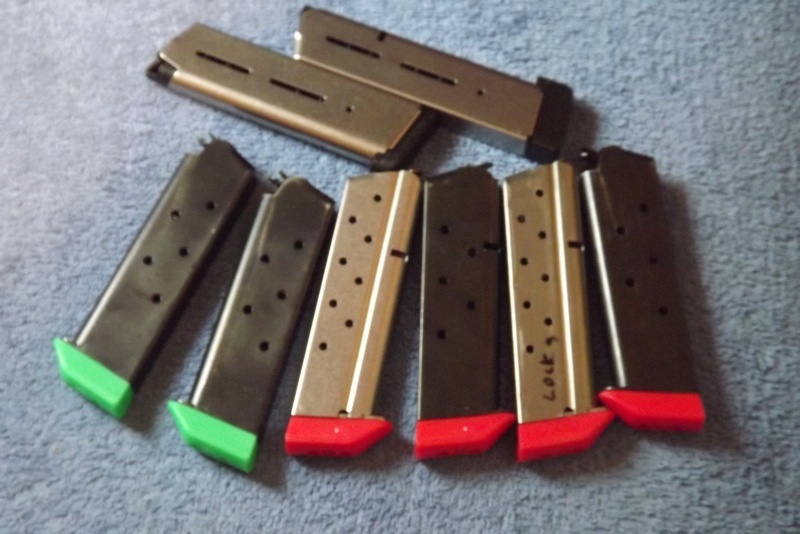 Now, I can put a different pad on each type of magazine ( 45, 40, 9, 38super etc). I realize this might not work for everyone but it sure is going to help me tell at a glance what mag I'm picking up. I have collected magazines over a lifetime and have a pretty assorted collection. I ordered some reds and greens and before they got here ordered some blues and orange. I contacted the seller about buying pads for the Wilson slip on style and He said they were "in the works". If you are like me and a little OCD they might work for you also. I didn't order any of the pink but it might happen...someday. I don't have any horse in this race. Cool, but at my age, I'd have to have a color chart to match the colors to the caliber! Mail came. I have some more colors. BE Mike: I must confess that I would have the same problem so I mark the back of each pad in the little flat spot. I might get it memorized in a couple of years....If I don't change it around. I bought a battery powered engraver from harbor freight for 6 bucks and just put the last 3 digits of the sn of the gun they go to. no loss of color memories. Don't see a need for bumpers on a be gun. DavidR said" Don't see a need for bumpers on a be gun.". I am guessing that you have very small hands. 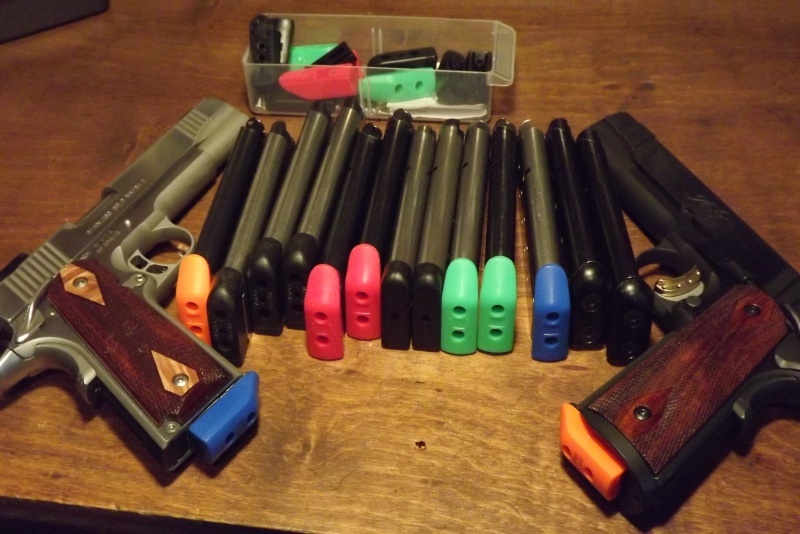 My BE pistols are the only pistols I own that do "need" pads. The picture I posted above has the only two 1911's that I shoot often that you can see the pads with the mag inserted. With Herrets on the rest and with my large hands the magazine goes way up inside the grip. So far up that I have to use my pinky finger to push them in far enough to be sure the are in all the way. I had to add 1" extensions to my High Standard mags just to be able to do that. They make it a lot easier to use.